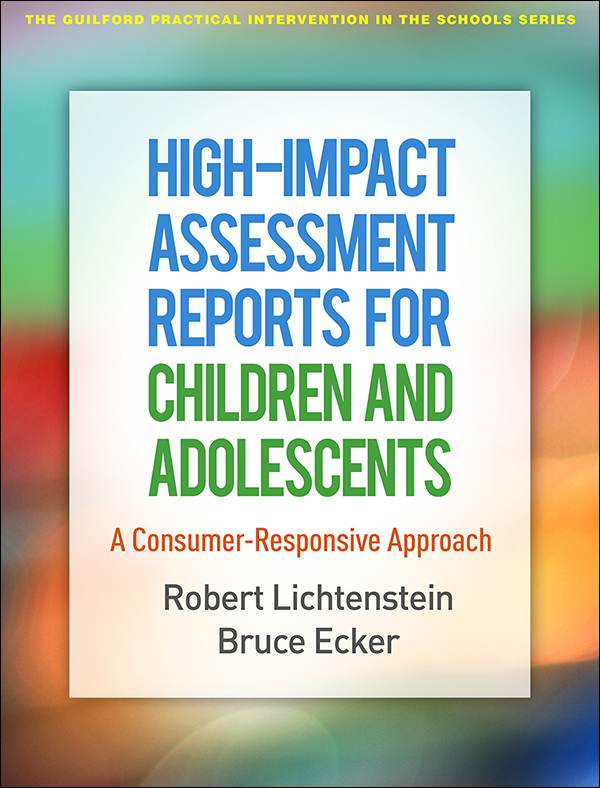 Assessment provides rich opportunities for understanding the needs of children and adolescents, yet reports are often hard for parents, teachers, and other consumers to comprehend and utilize. This book provides step-by-step guidelines for creating psychoeducational and psychological reports that communicate findings clearly, promote collaboration, and maximize impact. Effective practices for written and oral reporting are presented, including what assessment data to emphasize, how to organize reports and convey test results, and how to craft useful recommendations. In a large-size format with lay-flat binding for easy photocopying, the book includes sample reports, training exercises, and reproducible templates, rubrics, and forms. Purchasers get access to a Web page where they can download and print the reproducible materials. This title is part of The Guilford Practical Intervention in the Schools Series, edited by T. Chris Riley-Tillman.